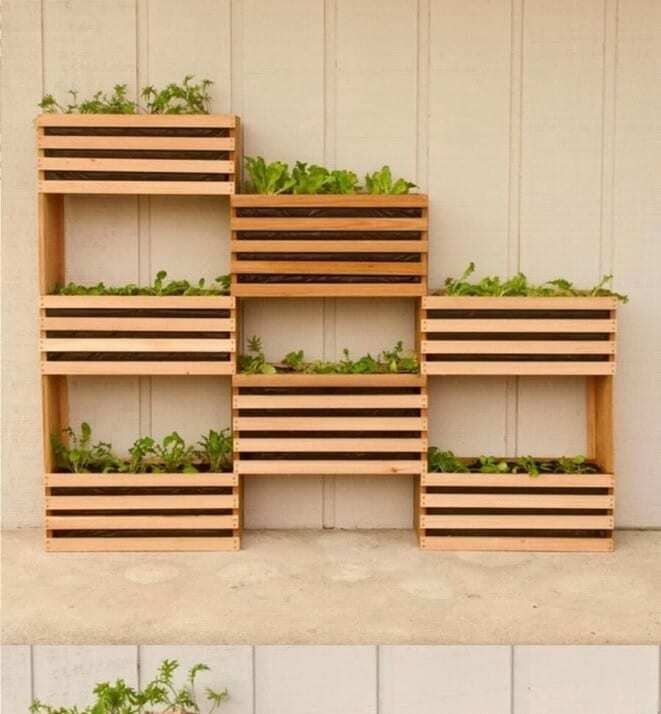 Pallet planters! Yeah! Everybody is talking about it. In fact, more and more of these products are being mass-produced in the market today due to its driving demand. Companies and sites are all gearing their wheels to the potential hit the pallet planter box industry can deliver. Very strangely, everybody’s yards have now become everybody’s possession through their shared designs. Who says they do not look good, especially the expensive ones? Everybody is dying to have one of these in his/her backyard. And, we are pretty sure you will do whatever it takes just to have one in your home, regardless of the price! 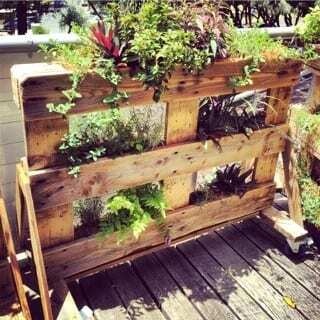 What if we tell you that there are better do-it-yourself pallet planter versions? Would you be interested to invest? I’ll go on then. We have prepared 16 best DIY ideas that are surely worthy of time and money. It is not that much of an investment, really. All it takes is sheer imagination. Creativity is key here. Rest assured, I will be with you the whole time. So, what are you waiting for? Dip the brush and start your art! The moment I laid my eyes on these pretty things, I was instantly obsessed with them. These little flower pot holders carry some kind of natural charm in them. Who would not want to get a hand of them? Not only are they neat, but they also make gardening extra-convenient. 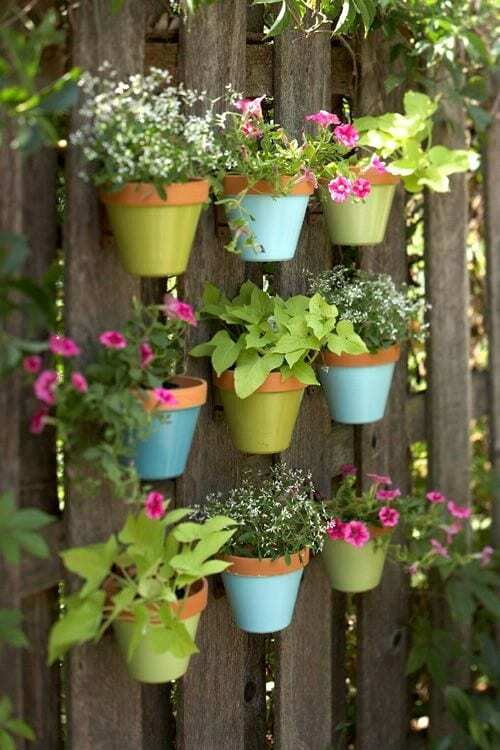 Technically, flower pot holders are easy to build and does not require so much effort and money. If you are the upkeep type of gardener who constantly moves things around until he/she gets the right touch, then the flower pot holder is perfect for you! You can easily move it around since its structure holds together its planks as a single piece. 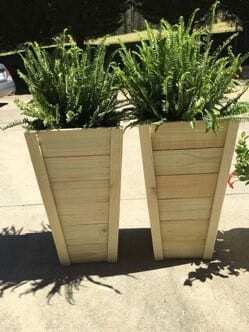 You can also update the pallet planter’s design and pot sizes. You can constantly adjust it based on the number of pots you would want to put in. There is no need to hurry over this one. In my case, I built a 12” x 6” box structure for a week or two, maintaining at least 3-4 pots on each divider. You can do this all together by building many more sets depending on how much of these you would want to fill your space in. Convenience. Nothing but convenience. That is what this pot holder offers. 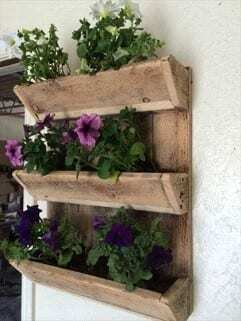 Now, here is a related to-do video that can guide you all the way into assembling your own pallet planter flower pot holder. In this case, the final output yields vertical garden hanging pots. You can check on the procedures later for related methods. By all means, improvise from this video. Have your own unique touch. The video only serves best as a guide. What is important is that you know the kind of feel you envision your garden to become- hanging or posted. A tiered herb garden is a gift from heaven! I have seen a lot of homes with such structure and never thought it has functions beyond merely decorating. But, I was gladly proven wrong. Apparently, tiered herb gardens serve two very important functions- to protect and support the herbs. The tiered structure also ensures that the necessary nutrients for your plants are held intact despite water slippage. It makes gardening very easy, too. Besides its slick architecture, it evenly distributes nutrients to your plants. Is it not a gift from heaven? What do you think? The link I shared will walk you through the very detailed step-by-step procedure on building your own tiered herb garden. Make sure to note all the necessary materials and other considerations. You can then later account how much this effort saved off your pocket. Check the tutorial video below to fully avail of the knowledge. 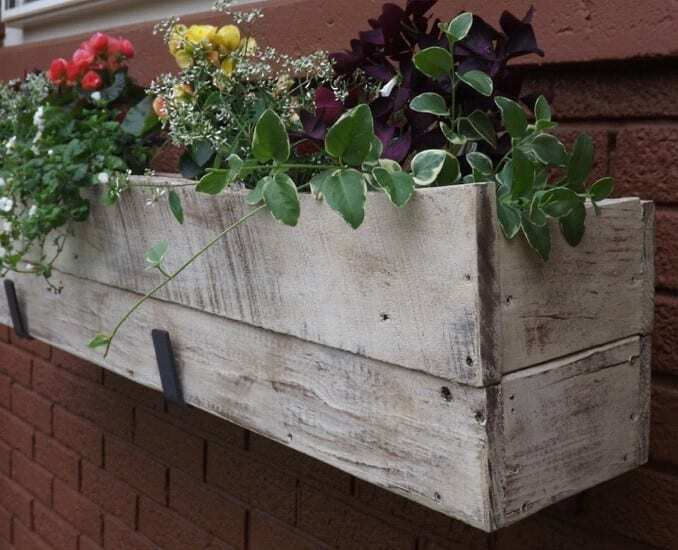 Another pallet planter design that I cannot miss putting in my home is the wood window flower box. This design is so easy and convenient to put up. You will not reach half a day in installing this one. I would dare say that the window flower box has become a staple texture in many modern American houses. Window flower boxes will surely complete the mood in your home. Imagine waking up early in the morning and opening your window to breathe in the fresh flower scent. I bet it would start your day with a big smile! It if is not enough- you could set up daisies or hydrangeas in your flower boxes and forever bathe in the freshness of its scents. The tutorial video that I will be sharing below shows general contractor Tom Silva demonstrates the ABCs of attaching flower boxes in your window. Get ready to be floored by how simple the procedures are. One thing that you must be keen on is the measurements. Apparently, the effort requires precision and accuracy. 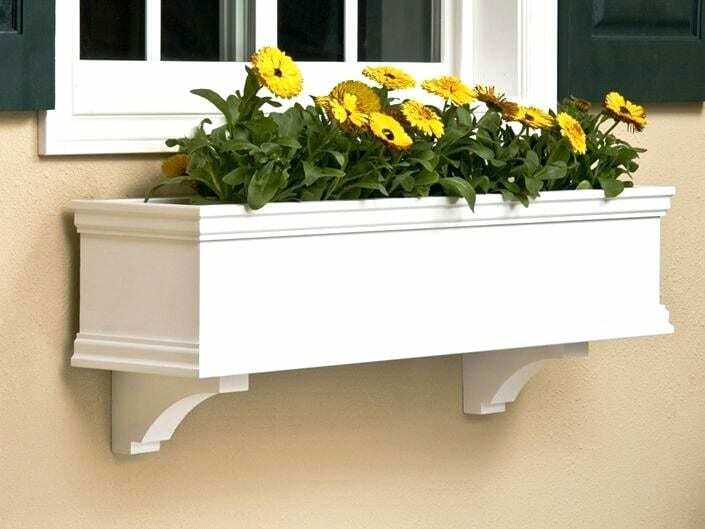 The window flower box design will provide a touch of beautiful simplicity in your home. Above all else, the flowers attached closer to your private space are proven to effectively pass on positive energies you can greatly benefit from. 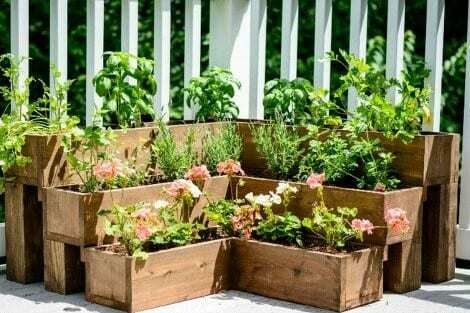 If you are looking for mounted pallets that are built together comfortably, the wood pallet mounted planter boxes will surely make you happy. These boxes look neat and organic for starters. With the boxes on hand, you can easily stylize with your preferred colors and feel. In and of itself, the design exists for the sole purpose of convenience. In terms of convenience, the design/structure efficiently absorbs water leakage. Somehow, this design may take longer time and bigger efforts due to its size. But, that would not be a problem. If you are planning to purchase an already cut pallet board, you can. And, it comes in built-in sections, ready-made decks, and divisions. Thus, all you have to do is to add in the potting soil. You will be surprised at how organized the mechanism can be. But above all, it guarantees to maintain the organic look in your overall garden. 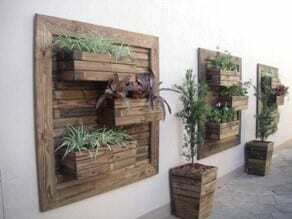 Have you grown tired of the very formulaic setup of many pallet planters? Here you go! Rule out your artistic wild with this setup! The wood monogram mounted flower is sure to turn heads. Your home will never be the same with this fancy yet neat design. All you need to ensure is a woodcraft sketch, a good idea and a spacious porch, patio, garden, backyard, etc. Just look at the picture. If it does not captivate you, what else will? Highly adjustable, you can put everything you want with this type of structure. When I put up one in my porch before, I never expected it would reach such beauty. I was even more surprised when it turned out to be a spectacle in the end! The ultimate tip for fully utilizing your mounted flower planter is to arrange your plants very tightly inside the mounter. This type of arrangement will reveal full blooms later- a sight that will truly captivate you and the passersby! 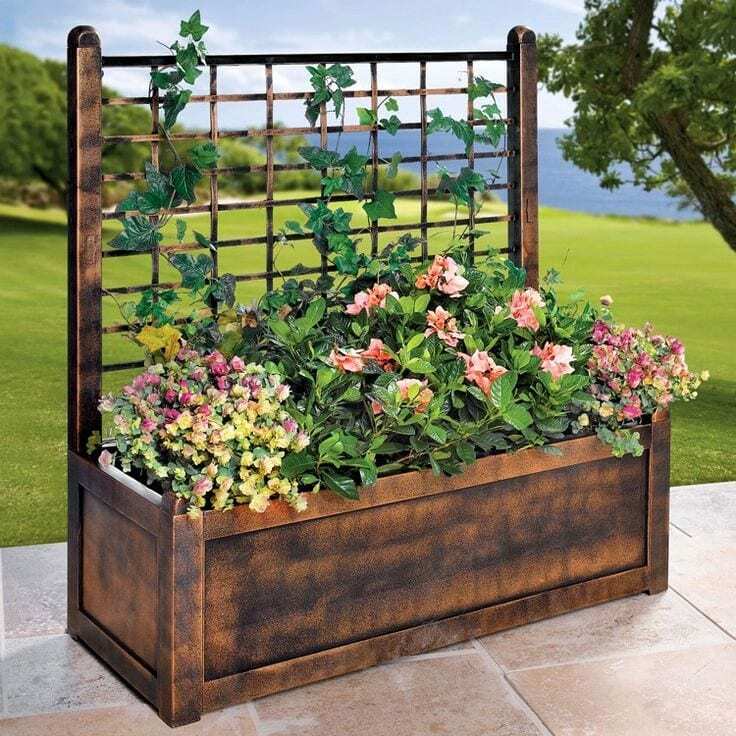 Convertible and adjustable, there is no reason for you not to enjoy this type of monogram pallet planter setup. As long as you are patient and passionate, you will surely get through this DIY effort with tremendous satisfaction. Believe it or not- but such fine, sophisticated climbing trellis design is a DIY output! Yes. And, I am telling you: you can do it nice and easy. The climbing trellis design saves so much space, supports the plant and beautifies your home. But the best benefit it offers so far is the opportunity it gives to novice planters. Apparently, the climbing trellis design serves as a literal assistance to nimble and frantic new planters. First times are never easy. And, first time assembling the pallet planter box with climbing trellis is a daunting task. You will be needing quite a load of woods, nails, measuring sticks, etc. to pursue. Just refer to the link above for precise instructions. Plant varieties Morning Glory, Leather Flower, Nasturtium, etc. grow with creeping vines. Certainly, these plants are a beauty to behold. But, I’m telling you-- yes, I’m telling you that they can also be a challenge to grow inside a simple, flat flower box. That is the reason why trellises came into the view. You cannot simply set the plants aside and allow them to grow horizontally. That would be horrible to look at! And most all, you will be hindering its growth. I’m sharing you a link that will lead you to Plant Care Today website with the aim of indulging you deeper into the world of vine-growing plants. I find hose-keeping quite an ordeal. Do you not? Imagine manually wrapping the hose around your arms and bearing with all the dirt in your shirt. Now, that should be horrible. But the ultimate trouble yet is a flattened hose line stepped into by passing feet. I cannot quite bear with it. And, I am sure you do, too. Here. Take a look at this substantial page by a build blogger called Jaime Costiglio. In a section here, you will visually experience relief when the blogger finally transitions from the hot messy hose area to the cleaned one. The first thing that you will notice from the improvement is a neat box. And inside it? Well, go on. See for yourself. I want this page spoiler-free! It is worthy also to note what the blogger emphasized in the first few sections of his/her blog: the Kreg tool Solutions. The site, I believe made it possible for the blogger to realize the DIY project. Eventually, the Kreg tool is a Canadian company that provides woodworking tools and materials at a super low price. Ultimately, thanks to the far-reaching-records it earned through the years, it technically rules in Canada’s woodworking industry. Fortunately, the company is still willing, and will always be willing to share. Knocks on the wood! 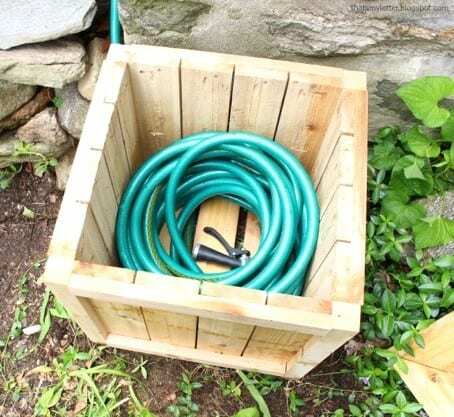 Hide-a-hose devices are really easy to build. The tutorial video that I will be sharing below will provide you with practical approaches on the project. Just be alert and you are sure to get the hang of it! The summer heat always drives me crazy. But instead of giving in to it, I resist the heat, shun sleep and go up on my feet to fancy around under the sun. Painting my wood planter boxes is one of my get-around routines. Finally, after an hour or two’s work, all I reap is beauty, comfort, and life. Now, I would like to share with you some to-dos for this design. But, let us focus first on building the best planter boxes. To start off, always aim clean-cut planks for your box. Thus, I recommend that you utilize a circular saw, sturdy hammers, well-polished nails and four (4) heavy duty casters. Beholding these brightly painted boxes in your yard can be very rewarding! The choice of colors vis-a-vis the boxes’ sizes and shapes matters so much too. Trendy colors for the summer include blue, lavender, turquoise, white and other cool colors. Remember that the simpler and cooler the colors, the better. You can go mixing all these colors if you do not want to end up with a heat-stroke. 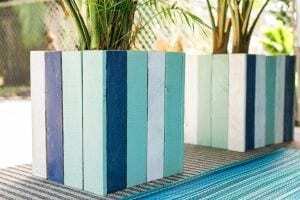 Later in the spring or fall through, you can complement your backyard with bright colors. The pretty painted wood planter boxes are sure to ease your mood. Just think how happy you will be coming home to these eye-candies! That reason alone marks this endeavor as priceless, fun and summer-worthy! What is with the triangle? One: it is fresh to the eyes, two: It saves space and finally, three: it requires less effort for assembly. 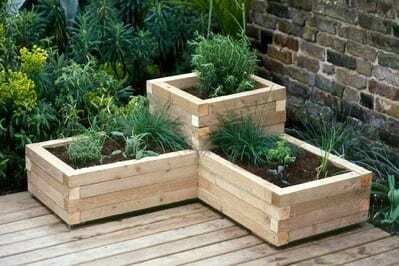 Dimension-wise, you can save a lot of wood with the triangular planter boxes. 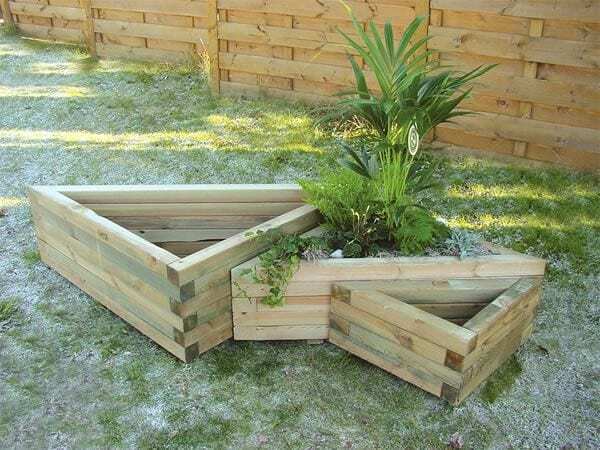 Complicated as it may appear, there are actually practical methods for assembling your own triangular planter boxes. I am sharing links below for your good gripping. Make sure to grab all opportunities to learn. As you will soon notice, the common Pinterest tips revolve around ideas that let you save space. The second most common function of the triangular design is easy to access to the plants, overshadowing other practical reasons like convenient mobilization, etc. All these prove the design’s high efficiency vis-a-vis spatial composition. Now, as you go through these links, you will also notice that the triangular setup shares an affinity to the tiered planter design. By all means, the affinity extends to the why and wherefores of the general vertical planter setup. In this next link, you will be guided to potential opportunities introduced by such design. Most of the procedures the link will introduce herein relate to successfully laying a thick bed or mesh for growing flowers and other plants. The mesh, through the triangular design, can work with the optimal command by acting as the foundation for the plants. I’ve been through a lot of homes already but still could not imagine the possibility of maintaining ample space in the porch with the prospect of numerous potted plants. I was stuck in that thought for long until I discovered the mounted flower box for deck pointers. And yeah! I can say it was a gem! You should get your hands on it, too! The mounted flower box for deck works like a magic. Easy to build and install, it will definitely leave your porch looking like a paradise. 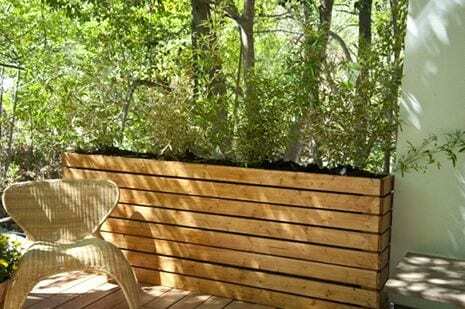 In no time at all, you can hang the deck put up all the potted plants. Searching it in the market, you will encounter the design with a different brand called Deck Porch Rail. Interestingly, the difference does not end there. Why? Well, the DIY quality immediately matches your deck rail, that’s why! On the other hand, buying the setup, if you are not lucky, can be time-consuming. 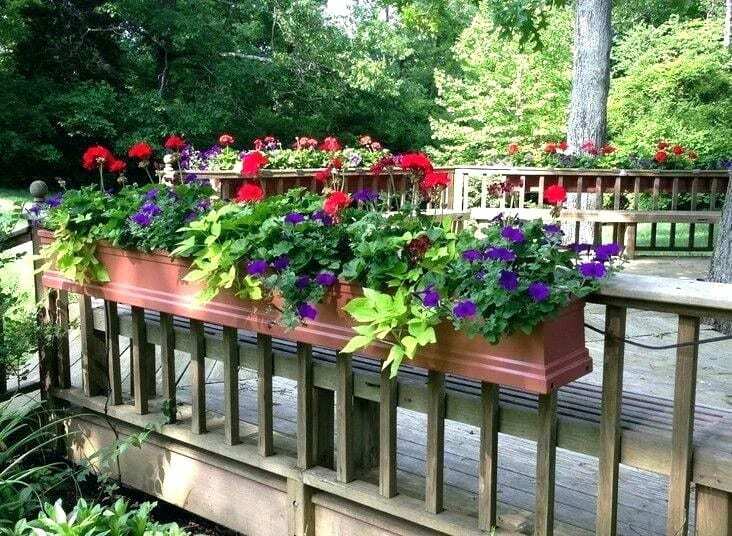 Now, unless, you can precisely hit the right deck dimensions for your deck rail, will you then be able to smoothly install the mounted planter boxes, free from the burdens of return shipping. 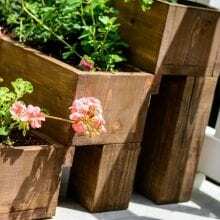 While such design shares commonality with the general vertical planters, the tiered wood flower boxes distinguishes itself being, you guessed it- tiered, of course. 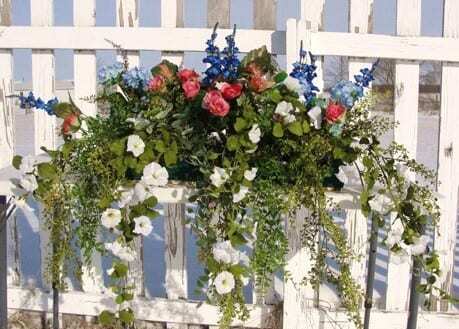 Its symmetrical arrangement can turn even your stalest porch or yard. This design perfectly matches indoor touches as well. All-in-all, DIY designs of this caliber ultimately empower you to stylize and exercise your creativity! The next link below will lead you to the Handy Mano blog and if you are keen enough, you will able to materialize the DIY project within the budget: not more than £10 (as per blog’s projection). Furthermore, the link will give you four (4) define steps I personally consider to be practical given the availability of a Cedar Fence Picket. Although I consider the triangle-designed planter boxes highly artistic, I still root for the tiered-box designs to be highly practical. The tiered-box designs prove to be fitting setups for herbs, specifically. What do you think? What I enjoy so much during summer is tending landscape, establishing decors and beholding a breathtaking outdoor scenery. 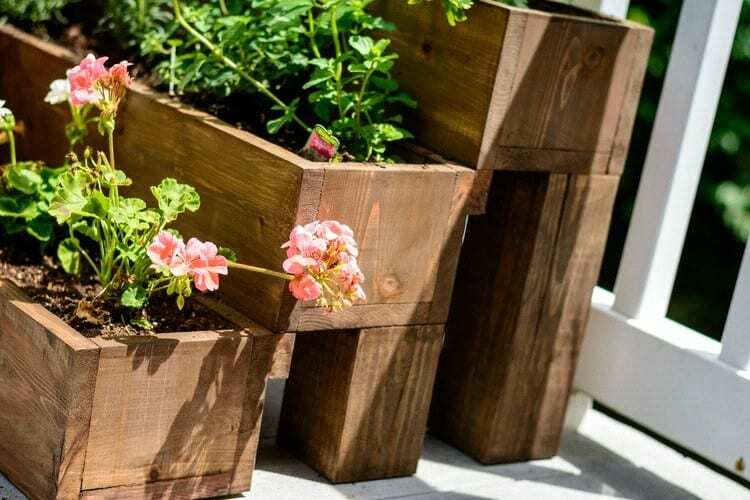 This can only be made possible by the DIY tall wooden porch planter! Thankfully, my porch complements well with its opposite scenery. Just look at these pictures (these are not personally mine, though) and think of any other ways that could better such design! Let me give you perspectives on the sheer importance of putting up a tall planter in your porch. First, it provides warmth. Porch planters are a real deal when it comes to welcoming your guests! Once done putting up, try checking your guests’ faces when they enter your home and you will definitely see big smiles. That should be the warmest of welcomes mutually shared between you and your guests. 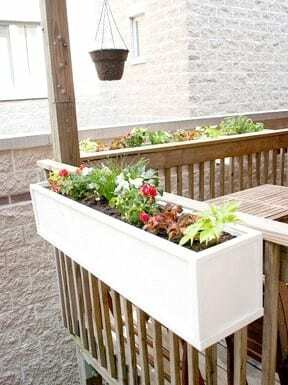 Second, tall porch planters protect your plants from outdoor ruckuses and other critters- raccoons, birds, deer, etc. And finally, tall planters strongly hold the soil together for proper nutrient absorption by the plant. Crafting the tall porch planters is both easy and complex. But all-in-all, so long as you have got the patience and the eye for details- you are sure to be done in no time. 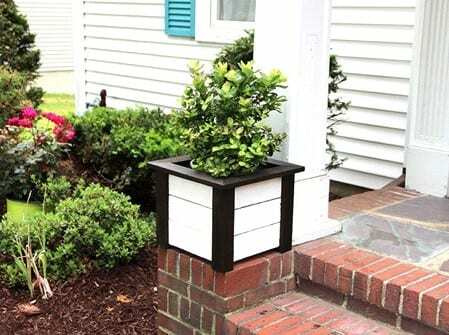 Above and beyond these, you would get to reap a beautiful, space-saving porch planter all up and ready around the seasons! I cannot go on with this list without indulging in the equally pretty business of growing plants indoors. If you are having second thoughts about the prospects of indoor planting, why, just look at these pretty images. Trust me when I say this: growing plants indoor is double the fun and ease! Having plants inside your home completes any overarching decor that can pop in your mind. Whether you are thinking of giving your home a touch of modern, rustic and even classical look, the wall planter is sure to blend in. But beyond all that, it brightens your home to an ambiance you never thought you would desire. Wall planters stand alone but never draw all attention to them. Overall, it adds up to the homey-ness of your home without overdoing it, or at the expense of neatness. Are you interested enough? Well, hold your horses cause we will have to complete the first task in indoor planting- plant selection. A few of the pretty-looking plants that grow indoor include Bromeliads, Spider plant, Viper’s Bowstring Hemp, etc. Check out the link below to get your hands full of the pretty names. As I’ve mentioned earlier, the act of satisfying our green thumbs exposes the artist among us. And when I say artist, I am not only referring to those who continually subject oneself to an imposed aesthetics. No! That should not define an artist. An artist should be someone who is not afraid to come up with new ideas, designs, and spectacle. 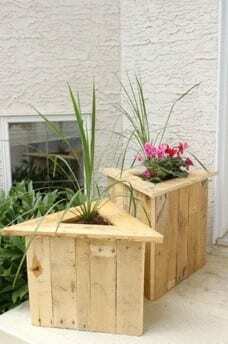 Thus, I would like to pay my highest respects to whoever thought of the cascading flower planter box idea! Now, if you are ready to be floored by how life-changing of a beauty this design will soon yield from the flower, come to take a look! First off, the engineering of the setup is undeniably genius! It just works on so many levels. 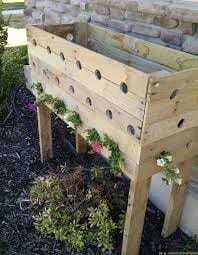 Here, you have a pallet planter box with numerous designated holes surrounding its bulk. Now, these holes, in case you have not noticed, serves an even bigger purpose during the plant’s flowering period. But if you cannot wait until spring to find out- voila, expect a larger-than-life bouquet. What made this possible? Simple. 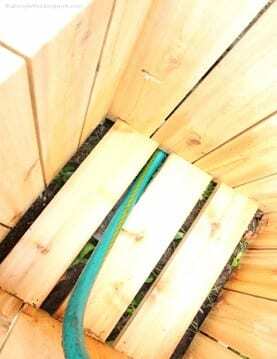 The holes in the pallet planter box allowed the flower stems to expand and grow outwards. Now, if you do not think this I beautiful, I do not what else is. I have always been fascinated by the idea of having multiple flowers and herbs growing together at once. Besides its practical reason, it is just so majestic to look at! Varied flower species, colors, designs, texture, and scent make not only emphasize the healing power of nature, but it also satisfies personal obsessions, preferences, etc. I must say that the whole DIY ordeal is the most perfect, irreplaceable opportunity there is in the gardening business. The thing is- you can update your own work based on how you want it to end up with. More so, such endeavor offers us the luxury to dwindle in the whole process, replace items we are not pleased with and most of all, constantly revise, revise, revise. 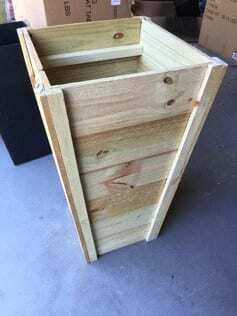 You can always refer to countless options on how you would like to frame your barrier pallet planter. 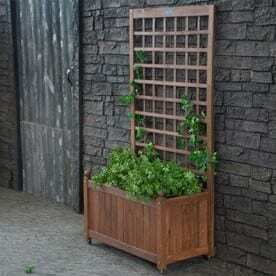 You can pick the wall hanging planter, plain pallet planter, the L-shaped or A-frame pallet planters, etc. There are so much to choose from. 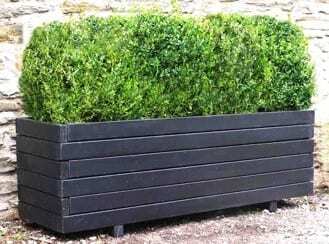 And, if you are not in a hurry- I would recommend you to go for a vertically-supported planter. This may take time but mind you- it yields the best structure there is. Prepare to be impressed by the overall décor this mechanism will leave in your backyard! 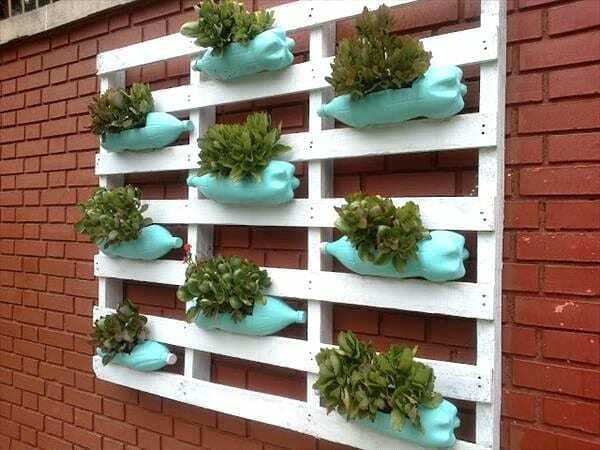 Vertical gardening can be a daunting task, if not expensive. The subject involved in the whole ordeal should not then be limited to I or you or them. The right subject rather is we. Yes! We are concerned with vertical gardening. And the main drive for this is space. Since time immemorial, space has always proven to be a concern. 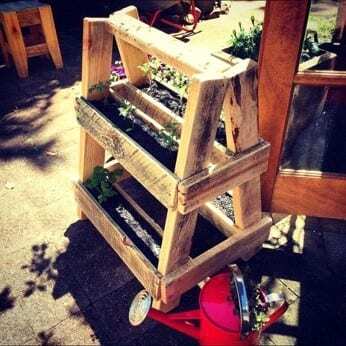 Finally, gardeners have finally come up with the a-frame pallet planter. It resembles similar attributes to the rest of the vertical planter designs, being a variant of such mechanism. 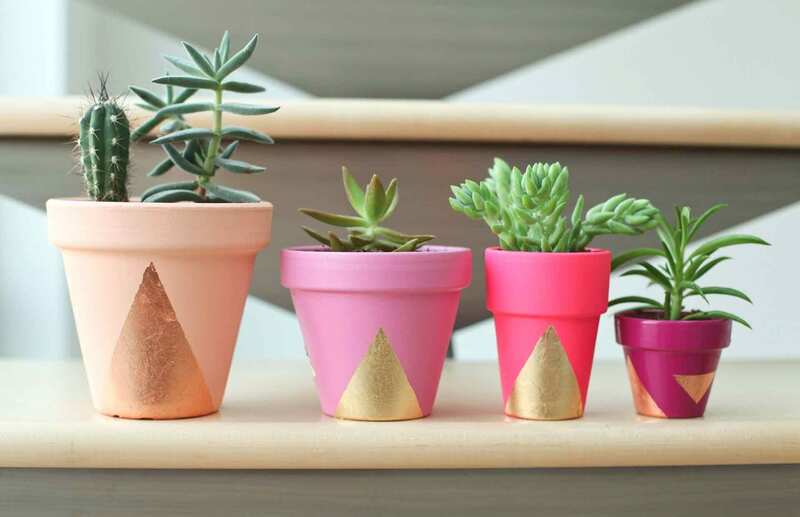 But if you study it closely, the a-frame planter gives a number of treats the typical vertical planter designs cannot. It is collapsible, for starters. Perhaps another captivating quality of the said mechanism is its shelving ability. 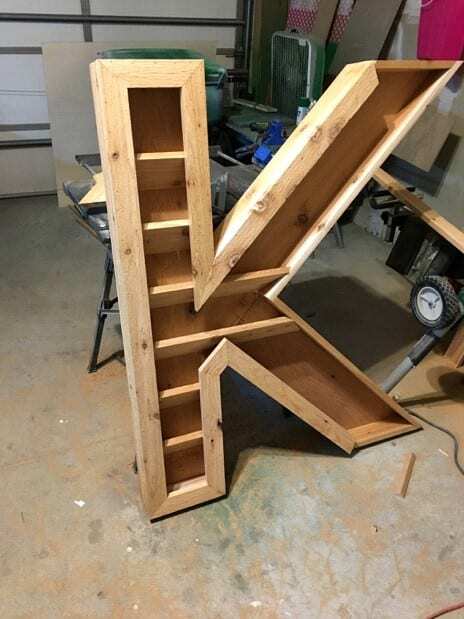 Personally, I find the whole shelving business to be an exciting and rewarding task. It makes me think that I am collecting a large bulk of flower varieties even if the truth is that I’m only growing a few. The secret of this design lies in its spatial composition. The A-frame pallet planter design does more work than expected. Let me surprise you with the video I shared you below. The a-frame device is a simple engineering wonder. Study the video and proceed to its next half which is the tutorial. Good luck with the effort! There you go! 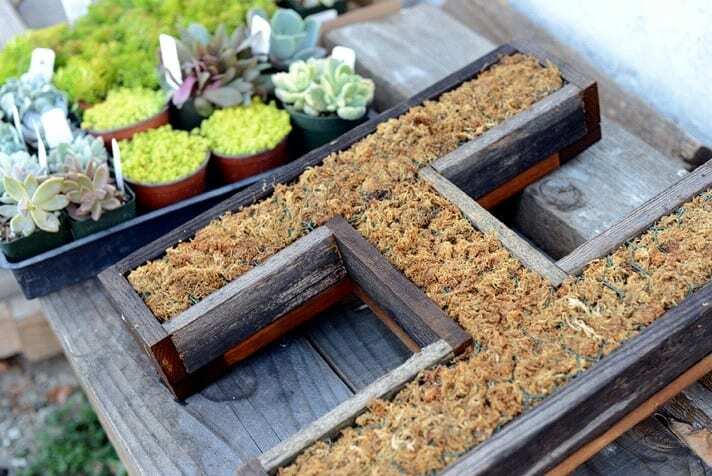 That was our list of 15 brilliant DIY ideas for pallet planter items. As has prevalent in the list, the key factor for any DIY projects is creativity. There is no question to that. Also, we were walked into the many ways we can save space, money, and effort in the whole gardening business. Imagine how much you would be spending your money on if you would insist on buying the items instead. The whole mechanisms, designs, structures and engineering methods all stand as priceless pieces of knowledge. Through the list, we hope to have given you insights on the physics of such mechanisms. I believe (as I always do) all these practical learning via the tutorial videos are nothing but gems that ultimately empower us as both gardeners and consumers. 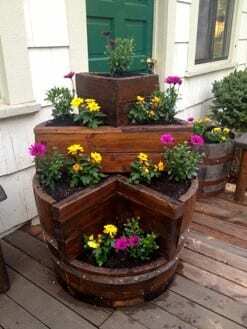 Did you enjoy our list of the 16 best DIY ideas for pallet planter items? Have you ever thought before that you could actually make one on your own? Have we enticed you over investing on one? Let us hear from you. Share your thoughts in the comment section below. See you soon and good luck with your DIY efforts!